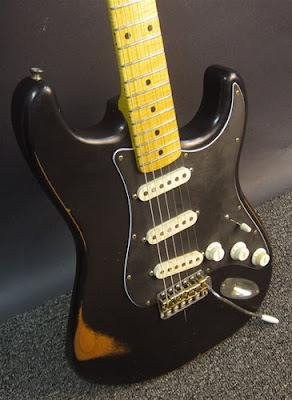 Anyone wanting a good player's S-type in a classic relic'd Gilmour theme, without Fender fru fru and cost, oughta get over to Fat Tone Guitars and check out this new Nash S-67. Signed and dated by Bill the builder (yes he can!) behind that fat 70's headstock, this unit sports special Lollar pickups, intuitive wear & tear and comes with a hardshell case. 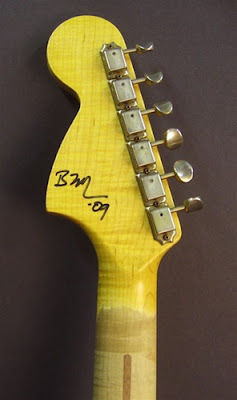 Although Lollar makes a few Strat pickup sets, i.e. 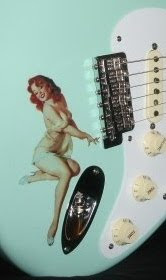 Tweed, Blackface, etc., the Lollar pups on Nash guitars are always a custom workup between Bill and Jason who live in close proximity, and go way back.